We are a foremost Manufacturer, Exporter and Supplier of Cupro Nickel Flange in Mumbai, Maharashtra. Our flange is fabricated quality approved nickel and other raw material to ensure supreme quality. We provide Nickel Flange in different sizes and specifications to meet the different requirement of buyers. Our Cupro Nickel Flange is highly appreciated by our customers due to its accurate dimensions and durability. 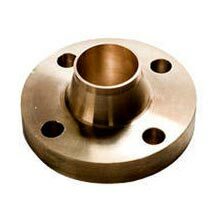 We provide Cupro Nickel Flange at competitive price.